2.21. While wider action on air pollution is for government to lead, the NHS will work to reduce air pollution from all sources. Specifically, we will cut business mileages and fleet air pollutant emissions by 20% by 2023/24. 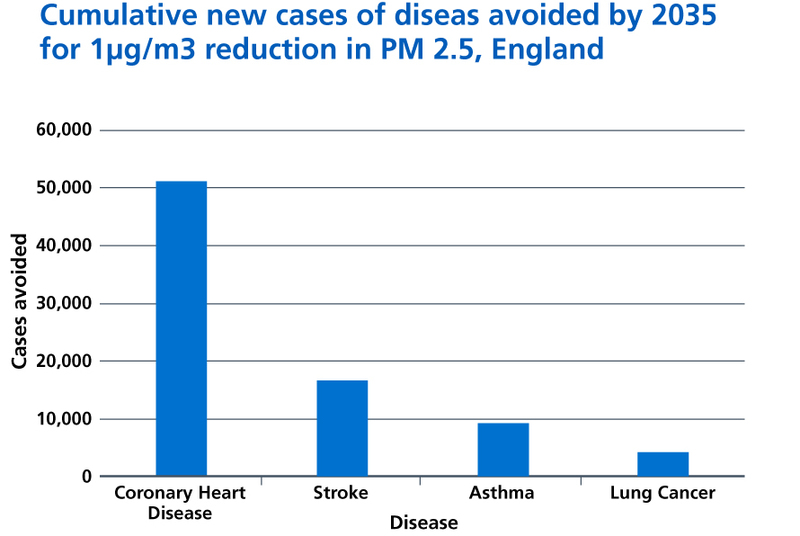 Almost 30% of preventable deaths in England are due to non-communicable diseases specifically attributed to air pollution. More than 2,000 GP practices and 200 hospitals are in areas affected by toxic air . In 2017, 3.5% (9.5 billion miles) of all road travel in England was related to patients, visitors, staff and suppliers to the NHS . At least 90% of the NHS fleet will use low-emissions engines (including 25% Ultra Low Emissions) by 2028, and primary heating from coal and oil fuel in NHS sites will be fully phased out. Redesigned care and greater use of ‘virtual’ appointments as set out in Chapter One will also reduce the need for patient and staff travel.